A too good to be true water filter? 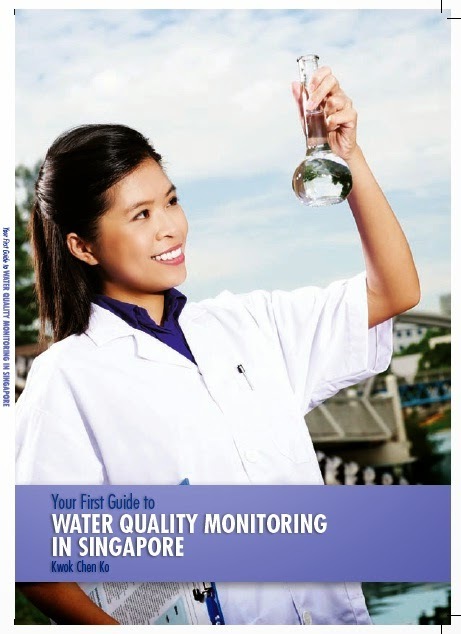 Thanks for sharing your knowledge on Singapore's water quality. Your blog has been extremely helpful in my search for a new water filter for my family. Cleanwater4less is only about 50usd and has 10000 gallons capacity. This means it will last 10 years for my family if we use 10 litres each day! Does it sound too good to be true? The reviews in amazon are generally good except for a few reviews saying that carbon particles came out from the spout. Perhaps they didn't follow the instructions to let the water run through for 10min before using the filter. I was thinking of getting a Royal Berkey but now I have second thoughts. Hope you can help me take a look at this product and advise me if it can really filter water properly. I just need a basic filter that doesn't need frequent replacement and can help me cut down on boiling water at home. Glad that you find my blog useful in your search for a water purifier/filter. 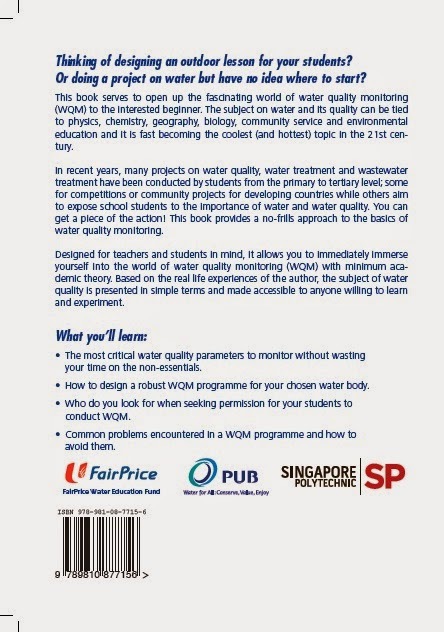 I have to reiterate that my stand is water filtration or treatment is not required for Singapore tap water unless you have certain medical issues that require drinking filtered water. Nevertheless, I understand that some readers have certain health concerns about drinking tap water e.g. chlorine, fluoride and I respect your concerns. These concerns tend to be controversial and by no means conclusive one way or another. Therefore, I see no issue in getting a water filter just to achieve peace of mind. They have a long record of good reviews. They are certified by ANSI/NSF standards (NSF/ANSI Standards part 1, part 2). I am afraid the product you recommend can hardly match the above factors. I find its reviews too generic in nature with barely any quantitative comment about the performance of the water filter. There is a good reason why domestic water filters WITH ACTIVATED CARBON (not the pure ceramic ones) are often rated for only hundreds to perhaps a thousand gallons of water before a replacement is needed. That is because conventional manufacture for AC can only achieve that much filtration before it becomes saturated and useless. If you see an AC filter that can handle 10000 gal and costs less than $100, it is a big red flag. The final decision of course lies with you. Still, I hope you find the above discussion useful. This post is a continuation of a previous one. Here is an extract of the original questions of which I have yet to answer. What are the health dangers of delayed filter replacements? For one, you'd previously advised me about silver leaching even more from an old filter. Based on the (considerably low) fluoridation levels in Singapore's water, is it possible to actually calculate a suitable replacement period for my Fluoride pre-filter cartridge? This is assuming that I may replace it at longer intervals compared to my ceramic candle, instead of replacing both at the same time. I'm presuming here that the ceramic candle will need to be replaced earlier - but do enlighten me if this is likely to be so. Is it a good idea to store up replacement cartridges (be it Fluoride pre-filter or ceramic) for a year or two before use? Not sure if the material and elements will degenerate/degrade slowly. I wouldn't be too worried about the silver leaching out. Even if it does, its concentration is likely to be very low in your drinking water. I would be more concerned about the filter not doing its job properly and allowing the contaminants that you want to remove to straight through into your drinking water. In this case, you may as well not install a water filter. Worst case. If your filter is mechanically broken after too long a usage e.g. cracked, the raw water will go straight through with no filtration regardless of whether your filter media are still effective. Another possibility. Though filters impregnated with silver are supposed to resist bacterial growth, this is never a guarantee. If your filter element has accumulated so much debris after years (gasp!) of continuous usage without cleaning, expect germs to grow on the debris. Just hope that they don't go into your filtered water and if they do, they are harmless to health. 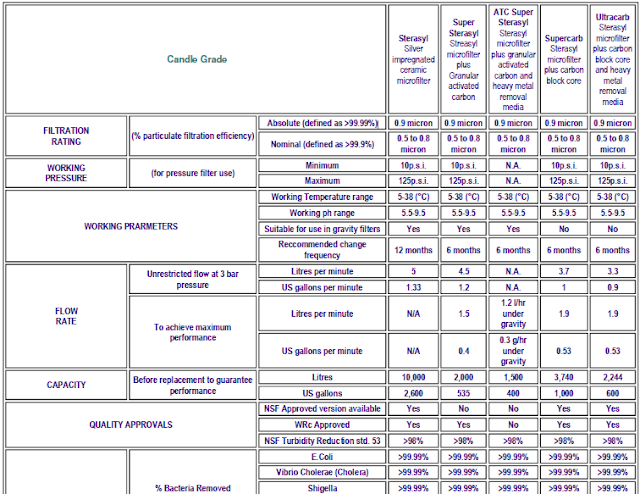 If you want an accurate calculation, you will need detailed experimental data for the filter e.g. equilibrium curves, breakthrough curves AND data of your own water usage and tap water quality. Since filter suppliers and PUB never give out such data and neither of us has the resources to conduct such tests of our own, accurate calculation is out. A rough calculation is still possible. BUT remember the assumptions filter manufacturers make in my previous post? You at least need those, especially the water quality the filter is designed for. If you managed to get those information, do let me know and I can do a calculation for you. A caveat though, a rough calculation like this works on certain assumptions (yes, this word again) so treat it as an estimate and don't bet your life on it. Unused filter elements from reputable suppliers should have no problems being kept in storage for a year or 2. Just ensure that the storage space is clean, cool and dry to minimise chemical/mechanical degradation and biological growth. I write again for your advice on when to replace filters - the most troublesome part as it can be a bit of an art and science, especially where there is no replacement indicator on the filter. 9 to 12 months. However, because of [a] what I view as low usage (about 6 litres a day), and [b] also the fact that the ceramic candle can be periodically cleaned (not that it is terribly yellow either), I had not followed this recommendation. Are those two reasons "justifiable" for the delay in replacing my filters? Are there any good, objective ways of gauging when exactly I should replace my filters? I look forward to your thoughts on this topic. Oh yes - and a very Happy Lunar New Year to you! You have touched on a very relevant topic on water filters and yet there is so little useful information out there for the consumer. This is not without reason though. Manufacturers of water filters make recommendations (say 3, 6, 9 or 12 months) of when you should change your water filter. Such recommendations are obviously based on certain assumptions e.g. number of people in a household, amount of drinking water consumed per person per day, tap water quality which may or may not apply to the consumer. Unfortunately, these assumptions are usually not communicated to the consumer. There are filters out there with their operational lives given by the total volume of water filtered (say 1000 to 100000 gallons). Though still based on certain assumptions e.g. water quality, this is a lot more accurate than a time based measure. The obvious downside is the consumer will find measuring volume a lot more difficult (or expensive) than just keying a date in the calendar for replacement. The operational duration is typically a conservative value to safeguard the claims made by the manufacturer who is confident that the filter can work effectively within given period. Remember how printer suppliers earn their profits from you buying their printer cartridges? Same here. You are expected to change your filters regularly to provide consistent profits to the water filter suppliers. Besides time, are there other ways to know if your water filter is up for replacement? Some purely ceramic filter elements (no activated carbon (AC) or other fanciful filtration media incorporated within) come with a ceramic gauge. The idea is a ceramic element can be scoured periodically to remove the residue on its surface. 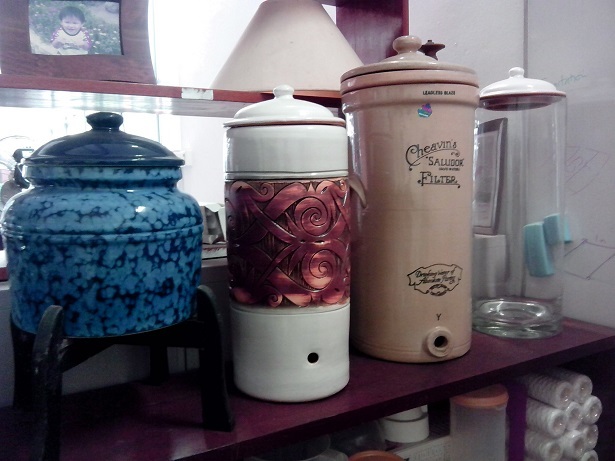 Scouring also removes some of the ceramic, gradually thinning the ceramic. The gauge serves to measure the thickness of the ceramic so once it goes beyond a certain limit, the element is no longer effective. Unfortunately, if your ceramic element does not come with a gauge, you are out of luck as there is no way to guess/calculate/estimate the thinness of the element before it is due for replacement. Or if your ceramic has AC or other media impregnated within, the AC or media will determine the life of the entire element as their effectiveness tend to run out MUCH faster than the ceramic itself. Incidentally, you did not mention which Doulton element you are using. Already mentioned above but I just want to add that if you are really keen to keep track of the total volume of water filtered, you can install a flowmeter to automatically monitor this for you. Not cheap and not practical for a gravity filter, it is nevertheless an accurate way to tell you when to change filter. A cheap version of the above test is to work out your daily volumetric usage. 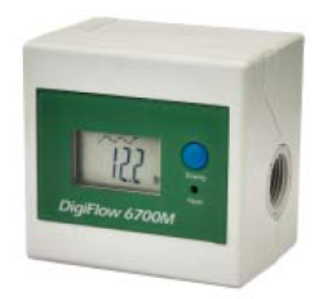 Divide the capacity of the filter by your daily usage and you get your operational duration. 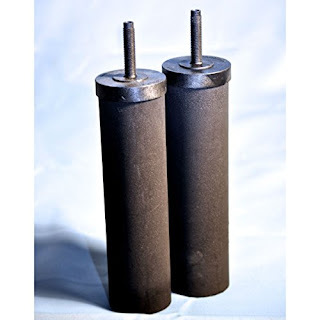 This is provided the filter manufacturer has specified the capacity of the filter in total volume. Depending on a degradation in the colour and odour of your filtered water is somewhat like waiting to do something only when the problem arises. A reactive kind of attitude at best and dangerous at worst when contaminants from the raw water are already going into your drinking water. Another reactive solution is to wait for the filter to show an apparent drop in pressure i.e. your filtrate is not coming out as fast as before. Usually, this means the filter is clogged up with residue. Contaminants may or may not be going through the filter. Time to change filter or in the case of a ceramic element, time to scour its surface. My solutionAs I don't use my Doulton filter regularly so I estimated the volume filtered in each trip and keep a record with the filter. Once it has reached the rated capacity (say 2000 litres), I changed it.Still, if the filter looks dirty or the flow is not smooth, I scour the filter surface. I keep a record of scouring too together with the usage. I believe Doulton specified a maximum number of scouring at 100 but treat this number with a pinch of salt as ultimately, it depends on how rough or gentle your scouring session is. I believe this post has gone on longer than I wished. Thanks for your thought provoking questions. Let me answer the rest of your questions in another post.